Chittagong Hill Tracts Affairs Minister Bir Bahadur U Shwe Sing on Thursday said the government is working sincerely to implement fully the Chittagong Hill Tracts (CHT) Peace Accord. 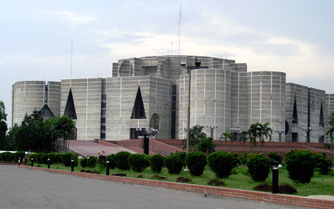 “The government is working sincerely to implement the Chittagong Hill Tracts (CHT) Peace Accord fully and it continues its efforts to implement the unimplemented sections of the pact,” the minister said while responding to a starred question placed by treasury bench lawmaker Mohammad Shahiduzzaman of Meherpur-2 in the parliament with Speaker Dr Shirin Sharmin Chaudhury in the chair. He said development is the pre-condition of the peace and that is why the present government is implementing various development schemes to establish people in the CHT region. Bir Bahadur said the full implementation of the peace agreement is main contention of establishing peace in the hilly region, so the government is committed to fully implementation of the peace treaty.